Mention the words private blog network to any SEO expert and they’ll immediately know exactly what you’re talking about. Private blog networks (PBNs) have become an integral part of getting your website ranked in search engines and while some people choose to simply purchase these types of backlinks from companies or individual sellers, others prefer to buy their own domains and control their very own PBN. 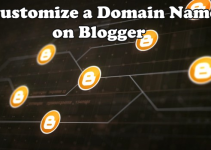 Whether you’re looking to build a PBN for the purpose of linking to your own website or so you can simply resell links and blog posts from it to other webmasters, using the proper types of expired domains to your advantage can save time and money. Continue reading to learn why you should be buying these types of domains when building a private blog network. Honestly, they are exactly what they sound like. Picture a network of 20 blogs that are each hosted on different IP addresses and used solely for the purpose of linking to products, articles and other content on the main website you have and want ranked – Also called your money site. That’s the exact purpose behind a PBN. People create blog networks so they can control the number of links going to their main site and more importantly, the quality of links pointing to their website. Here’s a good example: John Doe runs an Amazon affiliate website for auto parts. He wants to get several of his products ranked in the search engines and will need some quality backlinks to do so. At this day in age Google prefers quality over quantity when it comes to incoming links, so John decides to build his own PBN. He registers a few automotive-related domains, puts them on a few different web hosts, and then begins to write content for them with contextual links in his articles pointing to the different products and categories on his Amazon affiliate site (his money site). Building your private blog network on expired domains can speed up the process significantly. Let me explain by using the same example I provided in the previous section. John decides to build his private blog network and to do so he’s going to need some domains. Traditionally, he would go out and do a few domain lookups to find a nice automotive-related domain that he could purchase and begin writing content on. The problem is, that newly registered domain isn’t going to have any authority (or juice) on it because it was likely never developed before. If the domain itself doesn’t have any authority then there’s no juice to be passed along to his money site. If he goes this route he’s going to be spending several months creating content and building backlinks to his PBN domain before it has any authority that can be passed along to his money making domain. By going with an expired domain he can determine if the name was previously developed before he ever registers it. Going with the example above, John could do some research and find a nice automotive domain that was previously used for a car blog and already has several links pointing to it. He can register that domain when it drops, put some content on it, and immediately begin passing juice on to his money site. At this point you should have a pretty good understanding as to what a private blog network is. 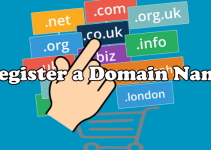 You should also know why webmasters and SEO experts build them, how they use them to their advantage, and why they prefer to register expired domains when building them as opposed to just hand registering domain names that pop into their head. So, how do these people find them in the first place? The key to that answer is ExpiredDomains.net. Here you can do searches for domains that recently dropped and are available for new registration, plus names that will be available for new registration in upcoming days. Best of all, you can filter through these names based on certain criteria to make sure you’re only seeing names that already have some authority (juice) on them. Here’s a quick way to do a search for domains that will become available for new registration tomorrow and already have some juice on them: Visit the website and login. Then, in the top menu select the Pending Delete tab. Next, towards the top click the red Show Filter link. From here find the End Date option and select tomorrows date. Then, click the Majestic tab at the top. Find the Citation Flow box and select 15 for the minimum, then set 15 for the minimum under Trust Flow as well. Click Apply Filter and you’ll be presented with a nice list of domains! Now that you know how it’s done try going and looking for some domains yourself. Once you’ve found some names that have juice on them it’s time to do some further inspection on them to make sure they aren’t spammy domains. Look them up at web.archive.org to see how they were previously developed. You can also use tools like Majestic and Ahrefs to check how spammy a previously developed domain might be.